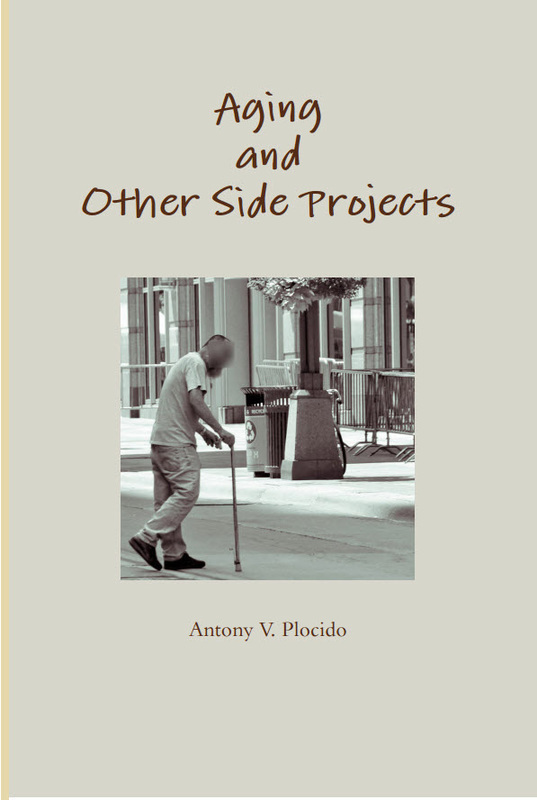 I first met Tony Plocido… geez, seven years ago? We met at a midnight poetry reading in KC, in what was to be my introduction to the spoken word performance/slam poetry scene. Since then, I’ve seen Tony perform many times, and have even been privileged to read new work on occasion when he needed feedback. It was through Tony and other poets in that circle that I’ve come to really appreciate performance poets, whose work places a whole different set of demands on them than if they were merely scribbling things down. But from the get-go, I could see and appreciate Tony’s lack of ego. He was just as happy to speak other people’s words as he was his own, to write and perform duets with other poets, and to tirelessly promote other artists whose work he believes in. His poetry is honest, funny, self-deprecating, warm, and above all, true. This comes as no surprise, since Tony carries these qualities with him always. With his work, what you see is what you get, which, in the poetic world, can be incredibly refreshing. I’m pleased to say that it shines through in his first (mostly) solo collection, Aging and Other Side Projects. Because of that spirit of collaboration, two of the poems in this collection were written with other poets. But Tony’s voice, with its wry, clear-eyed observations, is definitely the centerpiece. Upon reaching age forty, he explores multiple aspects of aging: the loss of loved ones (including pets), the vanishing of youthful dreams, the way that relationships never seem to get any easier. It also examines the way in which the world seems to speed up around us, and, perhaps most disconcertingly, how we cease to recognize the face in the mirror. It’s been said that getting old is not for sissies, and Tony cuts right to the heart of the axiom with this short but sharp little book. Given the nature of spoken word performance pieces, of course, these poems are best read aloud—it’s the best way to enjoy the incremental repetitions, the alliteration, the slanted and internal rhymes. But it is a testament to the poets’ skill that they can be enjoyed just as well in silence, a voice speaking so matter-of-factly inside your head, it’s like they’re right there talking to you. Even if you’ve never met them, they’re already old friends, and this is a cozy chat over coffee, one where you find yourself constantly nodding along in agreement. 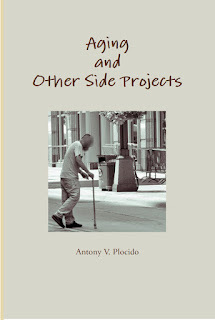 Purchase Aging and Other Side Projects on Lulu here.